Access to Camp Louemma’s grounds and facilities, including a private lake with canoes, kayaks, and paddle boards, hiking trails, a variety of sports equipment, and immersive natural beauty! All scheduled programming, including participatory workshops and guided morning practices. All the nostalgic summer camp goodness you can handle, including bonfires, a camper talent show, and silly camp games! Miss the good ol' days? Here's your classic summer camp vibe. 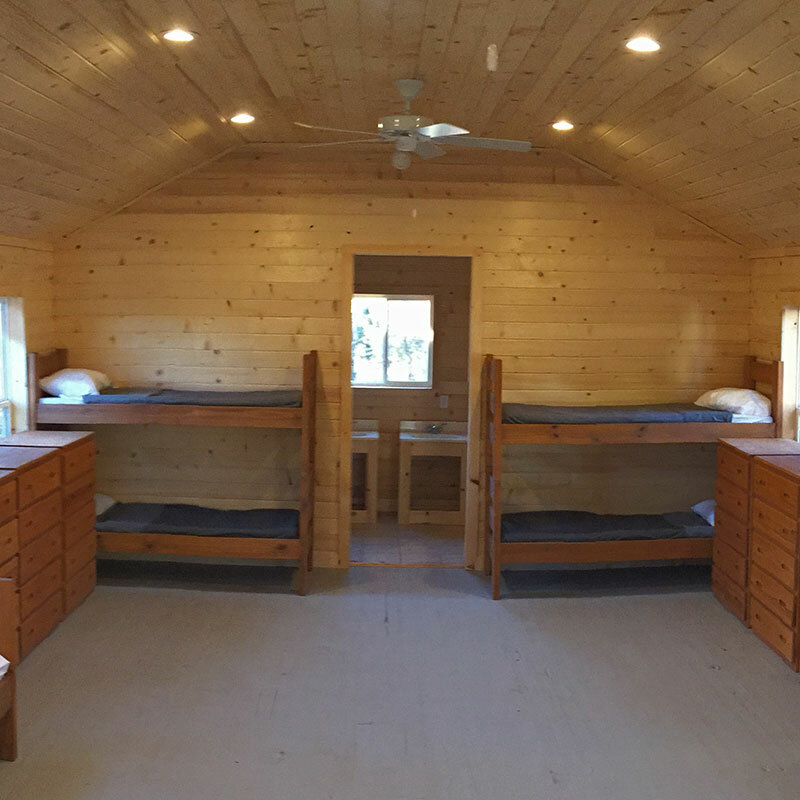 These cabins accommodate 12-16 people, and offer toilets and showers in each bunk. Looking for a little more R&R out of your weekend? We have a limited number of semi-private rooms available. You’ll share a room with 1-2 other campers. Heading to camp with your partner? Or just need a bit more comfort and privacy? In this Private Queen Bedroom, you'll get to decide when it's lights-out. Wanna get earthy? Come pitch your own tent on the grounds. You’ll have access to toilets and showers in a nearby cabin, and good ol’ mother nature for your bunkmate. Linens: For those campers going the bunk or semi-private cabin routes, you have an option to bring your own linens, or rent them for an additional cost. Linen rentals are $30 and include one blanket, one fitted sheet, one flat sheet, one pillow, and one pillow case. Linen rental must be selected at the bedding add-on page, and will be an available option for all registrations submitted two weeks or more prior to camp. Campers registering within two weeks of the event must bring their own bed linens and pillows.